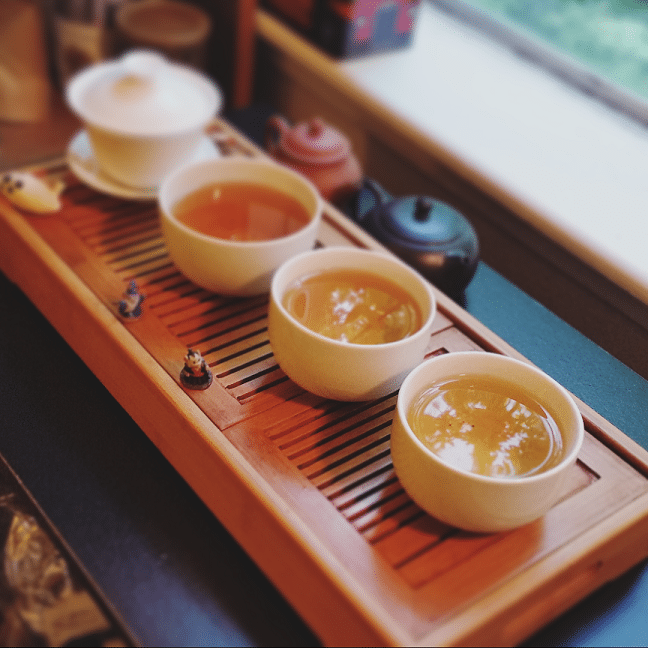 A thought occurred to me while I was doing this Wuyi oolong-fueled, seven-blog stretch. I haven’t once referred to “oolong” as “wulong”. Granted, I never do, but it’s a particular sticking point here . . . because Seven Cups refers to them as wulongs. And, technically, they’re right? It is “wulong”, or rather . . . this, in Traditional Chinese (Mandarin) . . .
Basically “woolong cha” or “black dragon tea”, which is the coolest name, ever. When spoken aloud, it sounds like a short “w” sound and a long “ooooo” sound. To the Western ear and tongue, that can be heard two different ways: “oolong” or “wulong”. You can blame the Hanyu Pinyin standard for the confusion. In an attempt to romanize Chinese words (i.e. “make them there werdz simple so dumb white people can speak them good”), the pronunciation was transliterated two different ways. The one that took hold in popularity, though, was the one that was least correct: “oolong”. I liken it to the VHS vs. Betamax fight, only with languages. While “wulong” may be the more correct way of saying it . . . I still prefer the ol’ double-o. Why? More puns can be made from it. (“I’ve waited here oolong time”.) The other just sounds like a party noise. (Whoo!-long). Which I guess isn’t so bad, in hindsight. Still, I’m sticking with “oolong”; sorry, Austin. 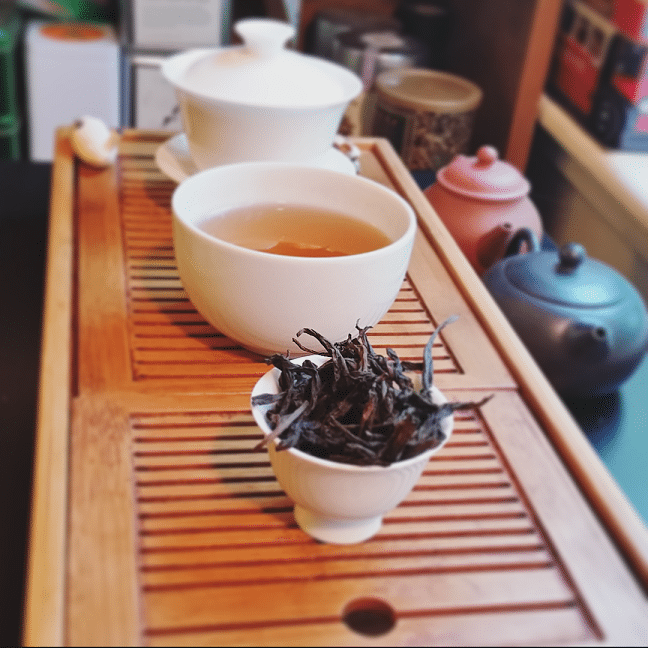 The sixth Wuyi oolong on the docket was a style I tried back in November. Lao Cong Shui Xian, or “Old Tree Water Sprite (Narcissus)”; also the coolest name, ever. 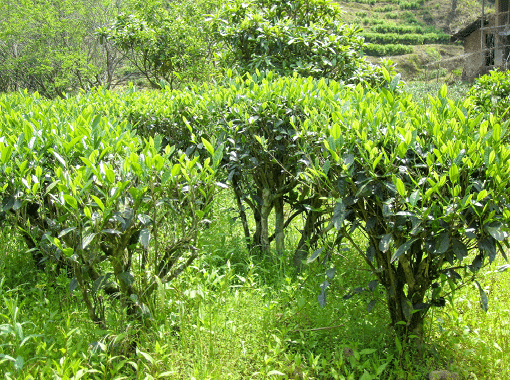 The origin of the Shui Xian cultivar is steeped in legend, but more credible sources say the original “mother tree” was found in southern Fujian province, near Zhu Xian cave. Hence the name. Lao Cong Shui Xian bushes; image owned by Seven Cups. 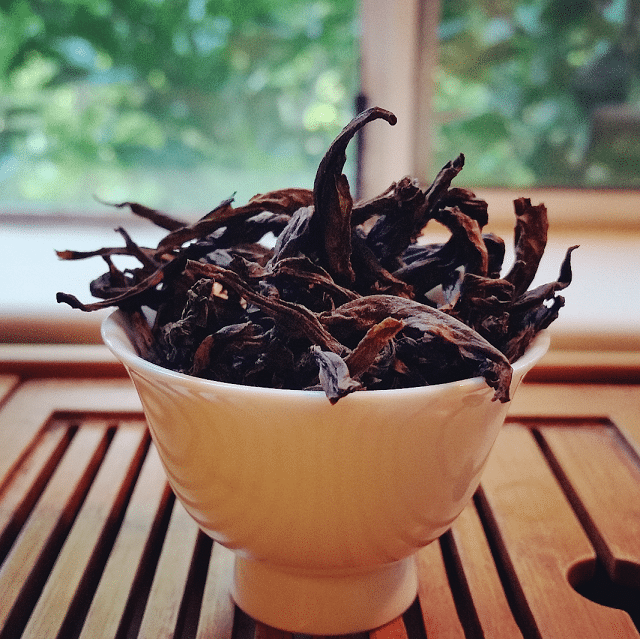 The “old tree” in the name comes into play because the trees required to make this type of oolong must be multiple decades to a century old. The age of the trees can almost be tasted in the processed leaf. And, having tried another Lao Cong Shui Xian from another farmer, I can attest to that. 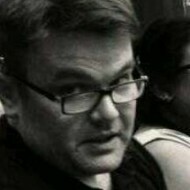 But I wanted to see how another crop held up. Let me start by saying . . . these were some scary lookin’ leaves. They were huge, red-black, and spindly. When poured into a sample cup, they either looked like a nest of alien spiders. Or, from a certain angle, they resembled the asteroid from the movie Armageddon. Don’t believe me? Look! You see it, now! Don’t lie! The liquor brewed the usual soft amber I was getting used to running into with these Wuyis. The aroma was . . . strangely smooth and mild. Other than the usual toastiness, I wasn’t detecting anything that stood out. Not so with the flavor, though. I remember tasting toasted raisins when I first tried this back in November. The same was the case with this one, but it was noticeably sweeter this time around. Like cinnamon and sugar lathered on raisings before a quick roast on a spit. One of these days I will have to try a Shui Xian from a young tree side-by-side with the old tree version. But for the moment, I’m pleased with what I’ve tasted from the old trees. Some great oolongs have come from them. You always manage to find new things to do and taste. I am sure these new experiments will turn out to be really interesting.